Unlike most other forms of financial investment, your Buy to Let requires periodical investments of additional capital. And, although property standards are undoubtedly a lot higher and landlords are much more willing to spend money than they used to be, there are still some who take a little convincing to pay out for good quality repairs and upgrades. The issue for you as a landlord is, if you ignore the little problems, they can quickly get bigger. And before you know it, a leaking shower that only needed a joint tightening and a bit of extra silicone turns into a partial bathroom refurb because water has been getting behind the tiles and soaking into the floor for months. And if you scrimp on quality by either employing the cheapest contractors or buying the cheapest materials, fittings and furnishings, the fixes simply won’t last. In our experience, cutting corners tends to end up being a false economy, on several levels. It’s easy to waste money on cheap repairs that we then find have to be redone within months and the danger is we (or you) will end up spending even more time taking phone calls from irritated tenants and organising works. What’s more, if tenants see that you really don’t care about keeping their home in good condition, they’ll either leave or escalate their complaints – and remember that with the legal changes that came into effect in October 2015, if you haven’t responded to their request for reasonable repairs within 14 days, you may not be able to evict them when you need to, even if they aren’t paying their rent. Not only all that, but a property that looks tired and patched up is never going to let to decent tenants at a good market rent. On the other hand, if you attend to repairs as soon as they’re brought to your attention – either by the tenants or through a periodical inspection – you’ll nip problems in the bud and keep your tenants happy. Paying a fair amount for a good job should mean your property stays looking its best and you hopefully won’t have to repeat work for several years. Decent fittings and furniture should last longer than cheaper versions and will create a better impression for tenants. And all this means that the property should let quickly at a good level of rent, and tenants will stay longer, which keeps your voids down. Don’t forget, if a property needs work we can organise everything and will take care of the smaller jobs without bothering you. For major repairs costing over an amount you set with us we will always consult with you. And, of course, there’s the capital value to consider. 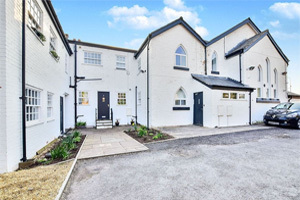 A property in good condition is likely to attract a higher price tag, which should enable you to get a better rate if you remortgage and a quick sale if that’s what you want or need to do. It will also give you a better overall yield! So don’t think of paying out for repairs and upgrades as spending; think of it as reinvesting, because you’ll get it back in lower voids, higher rents and a better capital value. Contractors. Choose ones that come recommended, understand lettings legal requirements and are members of trade bodies that allow them to offer warranties and guarantees for their work. Avoid doing ‘cash’ deals on repairs/fixtures/fittings as you can’t deduct them from tax and it’s more difficult to make any claims if there is a problem once the job is finished. It’s better to pay 20% VAT once, rather than having to re-do a bad job. Put in decent fittings. Cheap ones look cheap and won’t last. Use the right paint. Moisture-resistant for kitchens and bathrooms, hard-wearing gloss for woodwork and wipe-clean for the rest of the walls – means you won’t have to redecorate so often. A little more on the product saves a lot on repeated labour costs. Carry out periodic checks. We will do these for managed properties and they help ensure that any small problems are picked up before they become big ones and help make sure the property remains in good condition.